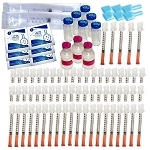 This is the EXCLUSIVE 20 month injection and mixing kit for INJECTIONS Wholesale 20 VIAL PACK of Injectables. 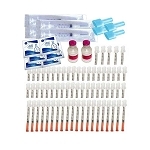 This kit includes the complete injection and mixing supplies as needed for your already purchased TWENTY VIALS of medicine. 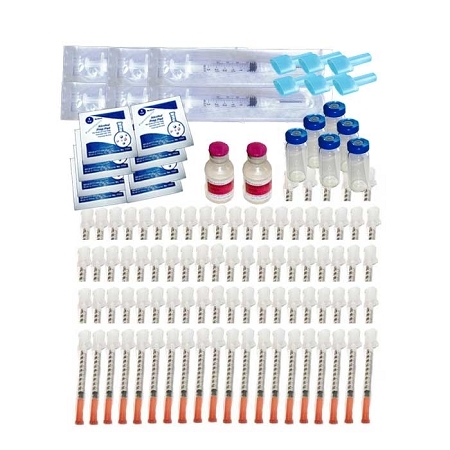 This kit is the supply kit for the meds you have already purchased. 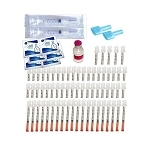 The high quality and exclusive name brand combination ensure a safe and effective protocol. 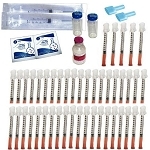 All Kits are carefully packed and shipped with our 100% satisfaction guarantee. Only available through FormaGenix. I do like the nest packaging and products, will be reordering soon.